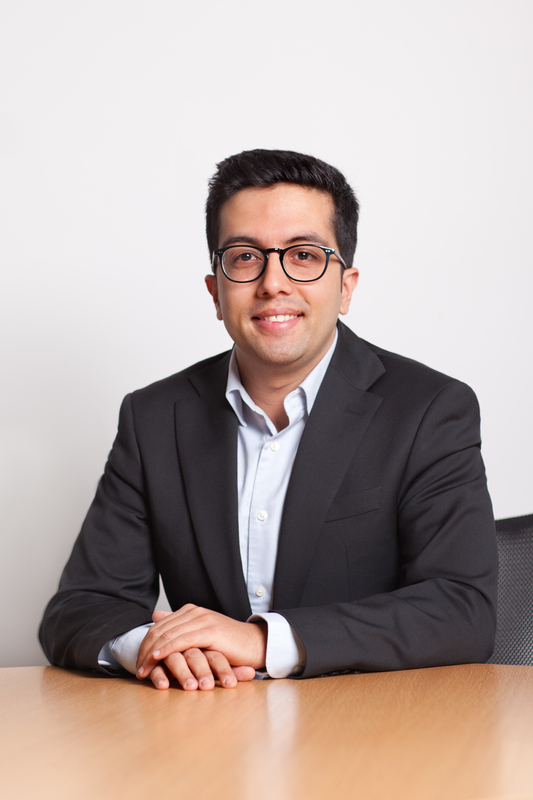 IE Blog Europe & CIS | Nepal, Spain, France, Iran, England… A young and ambitious IEU BBA graduate shares how he made his move from Asia to Europe. Anup Satyal (AS) is one of those graduates that really impresses when you get the chance to catch up with him. Originally from Nepal, Anup came to IE University’s BBA program after having looked towards European bachelor degree programs that could offer something different versus what would have been more conventional schools in the US, UK, and Australia. While at IE, he completed an exchange semester in Canada and an internship in Madrid, where he was offered a position. He decided to take another offer in Paris instead, motivated by the chance to learn French and to explore an opportunity that eventually led to him working on researching stocks listed in Iran. After what he describes as a two-and-a-half-year rollercoaster ride, he is today working as a global equity analyst, focusing on developing expertise in the cross roads of investing and good governance. Recently IE’s Director for Europe and Central Asia Joël McConnell (JM) had the chance to catch up with him. Below is the transcript from their conversation. JM: Anup you mentioned the Hero’s Journey to me, within the context of your work as a financial analyst and fund manager focusing on the Iranian market. Tell me about your first position in Paris after finishing the BBA at IE University, and how the content from your first year ethics course came to be of value over time. AS: The Hero’s Journey, also known as a monomyth, is a concept popularized by mythologist Joseph Campbell in his book ‘The Hero with a Thousand Faces’. It was first introduced to me by professor Francisco Mata in our first-year ethics course, but I did not really understand the true meaning till very recently when I came across it again in Hedge Fund manager Ray Dalio’s book Principles. Essentially, the idea is that all mythical “heros” – I read this as individuals – follow a certain path time and again in their life. It begins with a “call to adventure”, which offers a choice to step away from an ordinary life; facing and conquering small obstacles along the way, the hero eventually faces his first real battle; he fails and falls into “the abyss” where after learning from the failure, he gains “atonement” and returns with the “elixir”. It all sounds quite philosophical but for me, it has real life relevance. I was hired by the firm in Paris initially for a sales role. My ‘call to adventure’ came a few months later when I was asked to analyze an Iranian firm. I had no prior experience as an equity analyst and as it was a market closed off to foreign investment for over 36 years, you could not just go to Bloomberg and download financial data, you had to go through the annual reports and type the information by hand. There were no investor relations departments and the portrayal of Iran by the news media did not really help the situation. I went from just taking notes during meetings to being a part of the investment committee in a few years-time, all before the age of 26. My “abyss” came soon after Donald Trump was elected, when investor interest in Iran dried up. I was removed from the project, but I returned with an understanding of equity analysis and the importance of good governance, using which I am now embarking on a second call to adventure, a fund at the crossroads of investing and governance. JM: You were a bit of a ground-breaker with regards to both the roles you held and the specific market you were focusing on. Having lived the impact of geopolitical on goings (re: the Trump factor), what are your thoughts today on how to best hedge your career development, keeping in mind that non-market factors can often affect your professional plans? AS: To be honest, I have not had a long enough career to be giving any advice but if I were to explain my own views, I would summarize it in a word: curiosity. I try to visualize my life as a pyramid. At the top are my goals in life – this can be professional (be successful), personal (be happy) or philosophical (have a positive impact on society). Each block in the pyramid represents lessons I have learnt from my experience. Once I’ve experienced something, whether good or bad, I try and find the lesson in it. New lessons only come through new experiences and new experiences only through curiosity. I have never been afraid of going out of my comfort zone, trying or reading about things that are new to me. By always being curious, I have learnt things that might not be useful to me right now but can be useful if ever I were in a different situation. We all know that building a pyramid takes a lot of blocks! We can’t predict when or how our professional plans will be disrupted by factors that are not under our control, but when we encounter similar circumstances in the future, we can at least look into our arsenal of lessons and apply it to the situation at hand. The lessons will not help us avoid but at least help steer our way through the peaks and troughs of our professional journey. JM: One of your mid-term goals is to start your own socially responsible investment fund. What have you learned today about corporate governance and social impact, within the frame of financial markets and investing? Your BBA thesis focused on socially responsible investing, and now that you’re working towards running a fund that does just that, how much of what your learned from your thesis project is applicable to your work today? AS: In my view, in the most basic sense, the purpose of finance is to allocate resources to where it will be most effective in creating “__” (blank) , and a capitalistic society fills in the “__ ” (blank) with profits, and so social impact becomes secondary. We are telling ourselves that to be able to attract resources, we must maintain profit as our primary objective. This is clearly a bad incentive to have. I have come to understand that it is actually good and bad incentives that leads to good and bad governance, after all incentives determine action. Most people will cite the 2008 financial crises as an example of bad governance, but I think what we should instead say is that we gave people the wrong incentives and moral hazard was created. Now if we were to replace __ with social impact, then resources should, in theory, be allocated to those who (primarily) create social impact and the consequences should primarily be benefits created for society as a whole. It’s a great philosophy but is it practical? I first discovered this idea as being feasible when the work on my thesis showed that there are no significant risks in investing in socially responsible stocks and that in some cases, the returns are actually higher. I also did a couple of case studies that provided evidence to the possibility of a synergy between social investment organizations working on creating macro and micro economic impact. This synergy, as I saw it, could potentially be created in an entity that primarily incentivizes social impact but also generates tangible economic returns. All this has led to my work today, which is sort of like a reverse engineering project. We identify cases of good and bad governance and try and understand the incentives that lead to that outcome. My hope is that once I gain an understanding of the incentives that lead to good outcomes, I can help allocate resources towards companies that have those incentives in place. JM: Let’s talk about your academic experience to date. Tell me about BBA experience, including your exchange semester at McGill University, being an IE Fellow, and starting the IE Exchange Club. What most impressed you about your classmates at IE University? Do you ever make it back to Madrid, now that you’re based in London? AS: Imagine travelling to sixty plus countries in a span of four years and getting to discuss and debate your ideas with people in each of those countries, gaining all their perspectives in return. Think about how eye opening that would be. That was, in essence, the BBA experience, except it all happens in two places, Madrid and Segovia! So, Madrid/Segovia is the hub and the spokes are the people of IE. I think the average language spoken in my year was three and most of my classmates had lived in at least one country other than that of their birth. We all had different perspectives of the world and what place we wanted in it. Some of us wanted to get into the corporate world, others into art, others wanted to start their own business while others wanted to create social impact. We all got together in one place, shared ideas, helped and continue to help each other. The spokes have now taken a life of their own, but without the hub that was IE and Madrid/Segovia, I don’t think the connection would have lasted very long. As an IE Fellow, I got to pass on this message to prospective students and by starting the IE Exchange Society, something me and my co-founders had brought home from our own exchange experiences, we got to pass on this message to exchange students too. JM: You had a couple of other longer-term projects in mind, tell me about how that trek across Nepal might go, and your goal to set a “school of life”. Any parting words of advice for incoming BBA students at IE University? Executive Perspective: A Shifting Leadership Approach, Inclusion Strategies, and Technology.Coding at the World Economic Forum, AI (and Community Outreach) at Salesforce, and the High Impact Leadership Program.